If you like sweet fruity vapes have a look at Juicy Co Grape Drop e-liquid. It has a grape flavor profile with a rush of sugary sweetness. If you like sweet fruity vapes have a look at Juicy Co Grape Drop e-liquid. It has a grape flavor profile with a rush of sugary sweetness. It will awaken your taste buds. 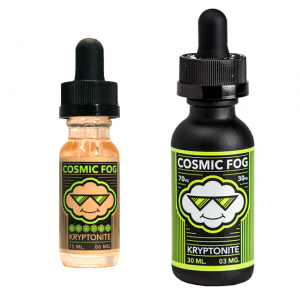 Thanks to a 70/30 VG/PG ratio Grape Drop e-liquid is a good option for cloud chasers. High VG concentration allows producing big vape clouds on the exhale. 3 nicotine levels are available. You can buy Grape Drop e-juice by Juicy Co in a 100ml yellow chubby gorilla bottle packaged in a metal tin. Sweet sugary grape flavor is what you need to make your day better!